Let Your Grog Flag Fly! Taking a break from holy week activities, the GARPA team dives deep into the world of crowdsourcing once again to bring you, The Gaming Connoisseur, the freshest info on the most ambitious gaming projects out there. There’s nothing worse than stale info you know. Let’s not beat around the burning bush anymore and get straight to the skinny! $2900.00 dollars raised of $34,780.00 required, pledging ends Thursday, April 18 at 6:58am. Pixelry is looking to be the biggest little game around. 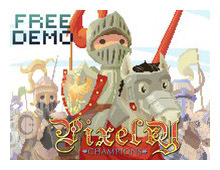 As you may be able to tell from the title, Pixelry is a take on chivalry and jousting in a medieval Western European setting, made up of cute pixelated little characters. The player takes the role of knight and must compete in jousting competitions against The Big 5 Knights of the Realm in order to win the hand of the king’s daughter, Arianna Annabelle di Grandigund Hyacinthe. In order to have any chance of winning the jousts, the player must compete in jousts at the local level, organized at taverns. Using money earned from these wins, the player can upgrade his equipment and buy new items at the town forge. The developers of Pixelry state that they want to see the game morph into a large online community where players can trade items and compete against one another, with in-depth customization of player avatars as well as heraldry and upgradeable armor sets. With these upgrades will come improvements to the core of the game, the jousting competition. With new upgrades to the game system, factors like the speed of the horse, the rider’s lance and shield and armor and weapons setups will be even more important and fun to tinker with. The developers also hope to have a home for the player to decorate, a home town in which to do business in, an academy to learn new skills at and a wider variety of locations to explore. Additional missions will add to the world of Pixelry, and the player should not be lacking for in-game things to do. The simple graphics obviously add to the ability of Evelend to flesh out the game in this way, and it doesn’t look like it would take much to transfer the game from the PC to smartphones and tablets. It will be interesting to see how the world of Pixelry expands in the months to come. Battle Worlds: Kronos is taking its cue from classic games like Battle Isle and Advance Wars, and KING Art Games wants to create the benchmark for the new generation of turn-based strategy games. 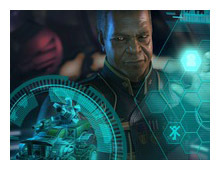 With Kronos, the player is promised multiple single-player campaigns, multiple single-player campaign maps, live multiplayer games, “asynchronous” multiplayer (similar to a PBEM system), a developed AI and a map editor. That’s a lot of stuff. Kronos is also set to be based on real world factors. Units will be specialized for different tasks and their success will be based on their range, armament, and upgrades. The player will decide what strategy and tactics to use to win. Units will be customizable too, through branching tech trees and the campaign’s stories will be told through in-game cut-scenes. The multiplayer component of Kronos will be strong, and KING is especially enthusiastic about the “asynchronous multiplayer” part, that will allow players on all platforms and all over the world play each other in long-term campaigns that last days, weeks, or months. Community will be a vital component to the success of Kronos and by the looks of the money raised so far (KING has already reached its $120K goal with a month still to go) it does not appear that gathering an excited following will be a problem. With stretch goals set at $170K, $250K and $360K, I daresay that Kronos may meet each of those and launch in a very fleshed-out state. It has been a while since I have seen a game take off with this much enthusiasm this quickly and not be backed by a member of gaming royalty, and that stood out for me. Kronos definitely seems to have that certain something that TBS players are looking for. Shovel Knight is a platformer that harkens back to the old school console games like Mega Man, Impossible Mission, Shadow of the Beast, and Castlevania. I can hear about half the readers of this make lip-fart noises while the other half scream out all giddy-like as they read that. Shovel Knight prides itself on being cutesy and from the screen shots available, for me at least, it works. 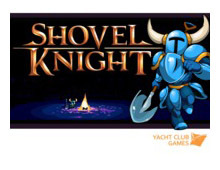 The game is based on a simple digging-mechanic that the player avatar uses to travel through the 8-bit game world, and the developers took that mechanic one step further to have the Shovel Knight both enter combat and dig through the game with the same shovel. That leads to some interesting combat where the Shovel Knight may attack enemies from above by digging through tunnel ceilings and the like…kind of like Mr. Do on acid. With a shovel. Our hero, the Shovel Knight himself, is combating the less-cutesy sounding Order of No Quarter, led by The Enchantress. The player will fight the assorted forces of the Order of No Quarter through a series of differently-themed levels, each one unique from the next, but all based around tunnels if I am reading this promo text right. Everything in Shovel Knight will be rendered in 8-bit graphics, using the Nintendo color palette while modern technology will be utilized by creating rich scrolling backgrounds and animations for every on-screen character. Modern audio will also be key to Shovel Knight, with music and audio effects getting a heavy round of development. Also key to Shovel Knight’s philosophy, besides the kitchsy yet effective tribute to 1980s Nintendo platform games, is a strong sense of simple, good-natured fun. Yacht Club Games appears to hell-bent on making their game fun, and dedicated to bringing their own version of what makes a fun game to a wider audience. It will be great to watch Shovel Knight take off on, (or should I type) burrow down into, the Wii, 3DS and PC platforms with its retro design and high tech backgrounds. First let us stop and reflect on the pledge number above and note what that says about this project. That’s right; it is already a huge success so they must be doing something right. Second, the company behind Sails of Glory is the same company behind the successful and popular air combat games WW1 and WW2 Wings of Glory. Needless to say this company has some serious street cred. 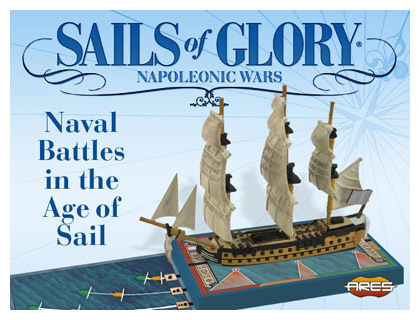 Sails of Glory is a tactical miniature game set in the “Age of Sail” that uses a combat system inspired by the Wings of Glory series. The first game in this naval series will focus on the Napoleonic Age. If this game is successful, and it already looks like will be, plans are to expand the series to include naval conflict from periods such as the Age of Discovery, Middle Ages and ancient times. The game itself “merges miniatures, cards and board game mechanics, using the same intuitive system of Wings of Glory, which features a special deck of maneuver cards to represent the different movement capabilities of each model.” A full range of pre-painted and fully assembled 1/1000 miniature ships are planned for the game. On the project’s Kickstarter page you can see the various ships included at each pledge level as well as other pictures of the project. Each ship is mounted on a specially designed base that provides information on the ship’s sailing and offensive abilities. Players will have a maneuver deck of cards with which to control their ship. This deck allows the player to plan for and move the ship while considering the position of the wind and the ships sails. The game also comes with a ship log for each ship that lays out its combat abilities, crew, and actions. This ship log also tracks your ship’s damage and its effect. All of these components combine to mask the complexities of the game and provide a simple, fun and yet realistic game. After each turn the players pass their hands replenishing cards and either building on existing sentences or creating brand new ones. Players will also play special cards that allow them to switch nouns, verbs or any other card. This helps make your sentence better or perhaps sabotage your opponent’s sentence. At the end of a turn players decide on who created the best sentence and then you do it all again. The game says it works best with 4-6 players and can be completed in 15-20 minutes. The game sounds like a great ice breaker and one to play with your close friends where you can prey on inside jokes. However, what I think really makes this game unique is the art work. Mr. Wheaton tasked 47 different artists from around the world with creating the illustrations on all the game’s cards. The only thing he gave the artists was their word and told them to have fun. What this created was a variety of styles and interpretations of the artwork that add a lot to the game. I highly recommend stopping by the project’s Kickstarter page and checking out some the artwork. While I’ll be the first to admit I am not much of an anime fan but one of readers requested we cover this game (see we do listen to your feedback) and I found myself intrigued. 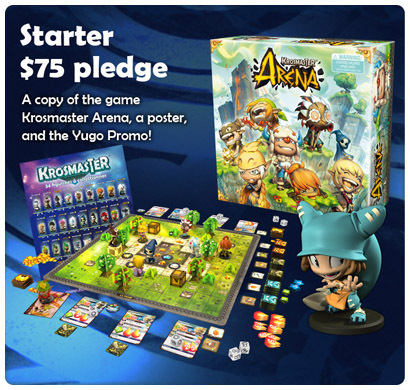 Krosmaster Arena “is a miniatures board game that is designed around using cute anime warriors to take on your opponents!” - their words, not mine. I would never use the word "cute" to describe anything. That being said, do not let the ‘visually appealing’ miniatures distract you, this is a game about gladiatorial style combat where only one team can win. Each player creates a team using a point system, draft, or random selection. The team’s different figures each have various abilities, spells, and talents to put to use in the arena. These include such things as deviousness, long shot, healing word, summon gobble, and many more. Combining and using these talents as a team is the only way you can hope to survive the Krosmaster Arena. Each figure has an associated card that includes the figures health, action, and movement points along with any abilities and spells they have. Combat takes into consideration many wargame standards such as line of sight, cover, range, and initiative. Simple die rolls add an extra element of unpredictability to each combat encounter. The base game ships with a beautifully illustrated double-sided game board, 8 pre-painted miniatures, tons of tokens, basic terrain elements, dice and a 32-page rule book. The artwork and vibrant colors of all the game components stand out and really complement one another giving the game a lot of visual appeal. While not a wargame by definition, this game would be great for getting kids to learn the basics of miniature combat. It also works well for those not-so-grownup-kids of us who want a visually appealing game that is quick to play but offers the ability to use tactics. It should also be noted that the game itself can already be played online and this Kickstarter project is bringing it to the tabletop. For more information and to see an example of play make sure and check out the projects Kickstater page. That wraps up this week’s column. We’ll see you in two weeks but until then we are going to have a few words with these ground hogs on what their definition of spring is. Share your comments with FaceBook here! GrogDice - Refresh the screen to roll a new set!